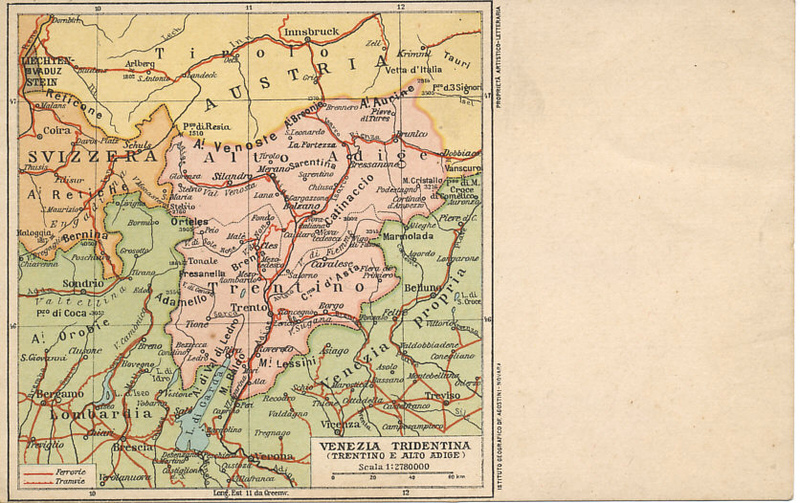 On 15 May, [May 14 says West Point Maps] 1916 Austria-Hungary launched the Asiago Offensive, attacking Italy in the Trentino, Tyrolia / the Tyrol with its Third and Eleventh Armies. 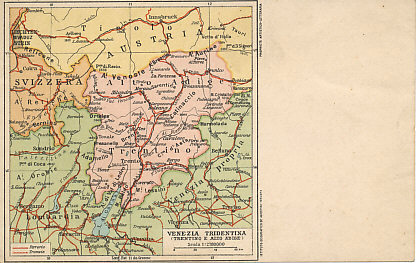 The front line was approximately 60 miles northwest of Venice and the Adriatic Sea, and a successful attack would trap most of the Italian army in the northeast between the mountains, the sea, and the Isonzo Front. When Austro-Hungarian commander Franz Conrad von Hötzendorf prepared his offensive, he had tried to get German support, but German commander Erich von Falkenhayn was preparing for his seige of Verdun. To bolster his forces, Conrad removed troops from the Isonzo and Eastern Fronts. The offensive did not achieve its aims. 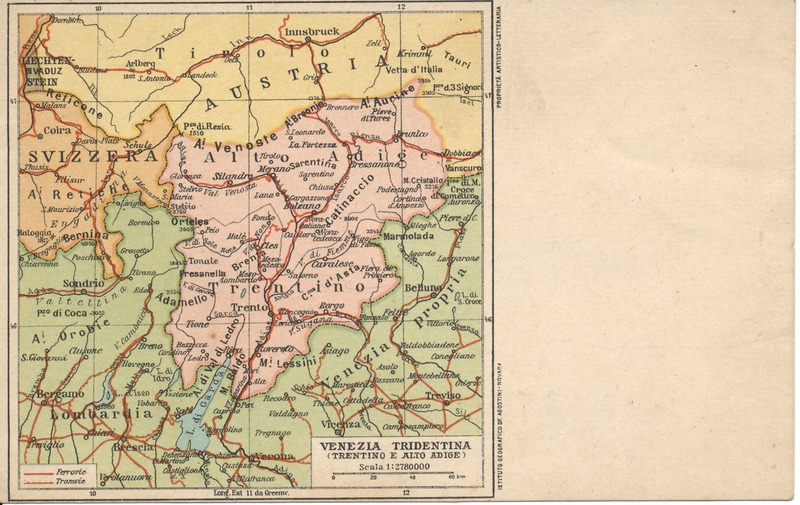 Austria-Hungary regained some to the territory it has lost the previous year, and took the city of Asiago, but could not break through to the northern Italian plain. To answer Brusilov's Offensive, on the Russian Front, begun on June 2, Conrad had to redeploy his troops and consolidate his position. Italian counter-attacks, including one by the newly formed Fifth Army, helped stop the Austrian offensive. An Austro-Hungarian retreat in late June left the front line little changed from that at the beginning of the offensive. Conrad stopped his offensive on June 16. In the campaign, Italy suffered casualties of 150,000 men, and Austria-Hungary 80,000.